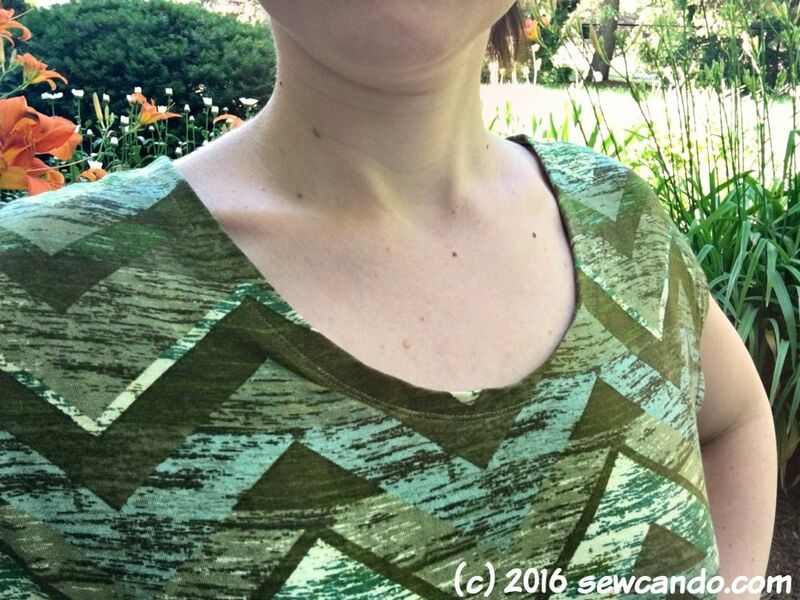 To celebrate the start of summer, I'm kicking off a new feature here at Sew Can Do that I'm pretty excited about. 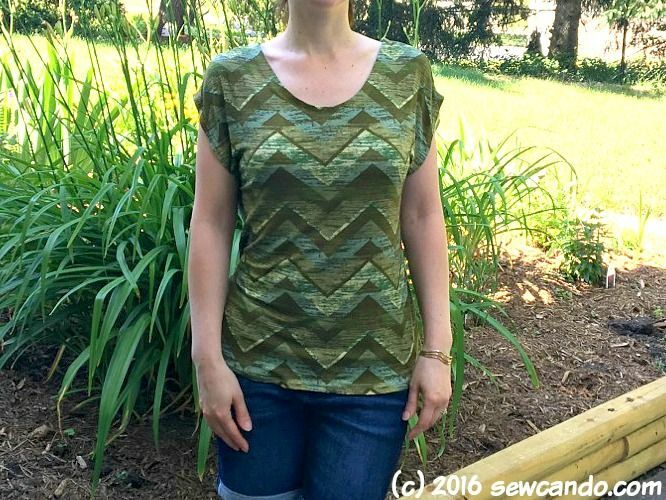 I'm calling it my Free Pattern Finds. It's a simple concept - I share details on free patterns I've found in my internet travels and add my experience trying them out. No sponsored or biased reviews, no blog tour addition that's really just an advertorial to buy a pattern. No secret agenda, just stuff to share. Some will be recent releases I've discovered, like today's, others will be oldies, but goodies. Either way these are patterns that don't cost a thing, so you can go grab 'em yourself for FREE! Today's inaugural freebie pattern find is the Blank Slate Blank T-Shirt Pattern. When news of it pop up in my email a couple months back, I jumped on downloading it. 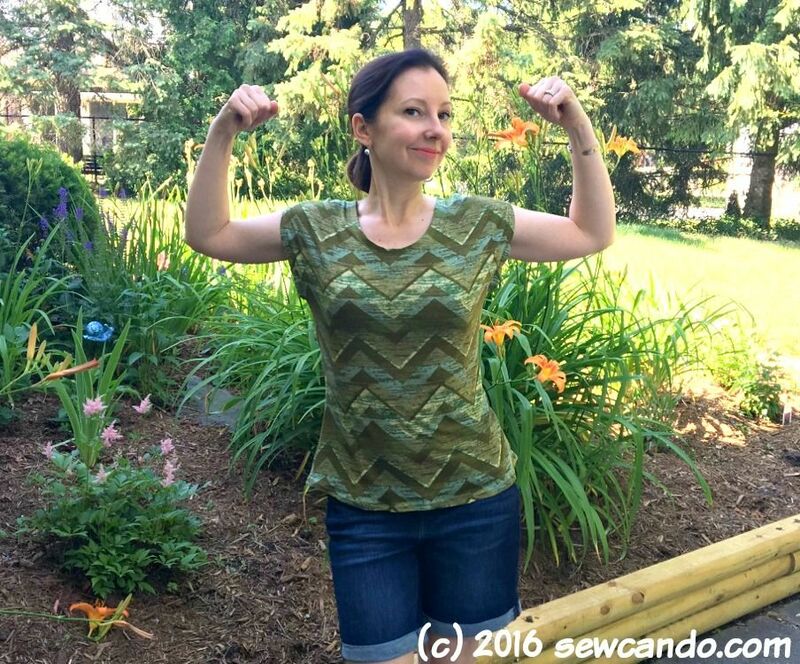 I've tried a lot of knit women's shirt patterns and had mixed results, but this one looked pretty flattering. And heaven knows I needed to thin out my knit fabric stash - why not on something I could actually use? Feeling like a superstar for finally using this fabric for something I'll actually wear. I must confess, a while ago I was kind of addicted to buying knit fabric. It got to the point where I had loads piled up, but no idea was to make with it. So my new focus has been making things to wear to use up my knit fabric hoard. I've been really good about not buying a bunch more patterns or fabric too. I almost don't recognize this sensible woman who's not binging at the craft supply store on a regular basis! Pattern details: It's just two pieces to sew together and finishing (or not) on the edges. It's good for jersey & interlock, as well as heavier stretch fabrics like French terry, sweatshirt and sweater knit. Sizes XXS-3X. 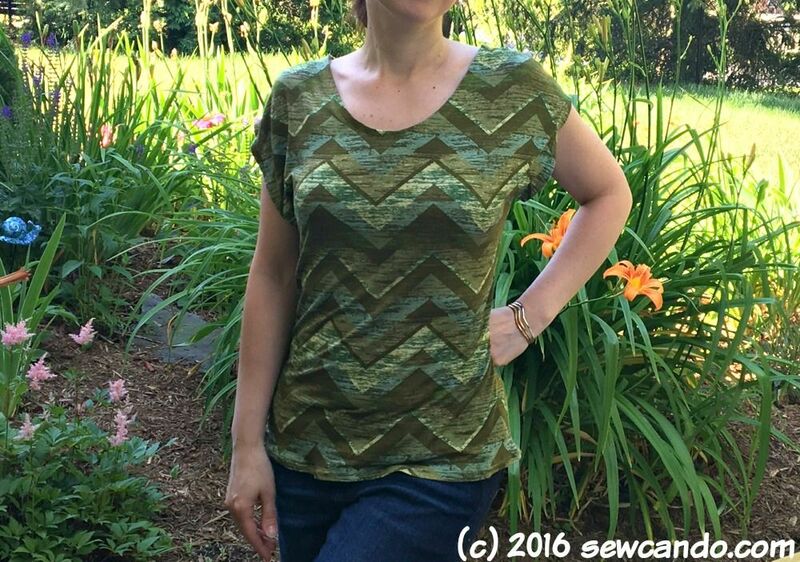 It's super simple to make, which is a big plus for the busy sewing ladies out there. 30 minutes - even for a beginner. 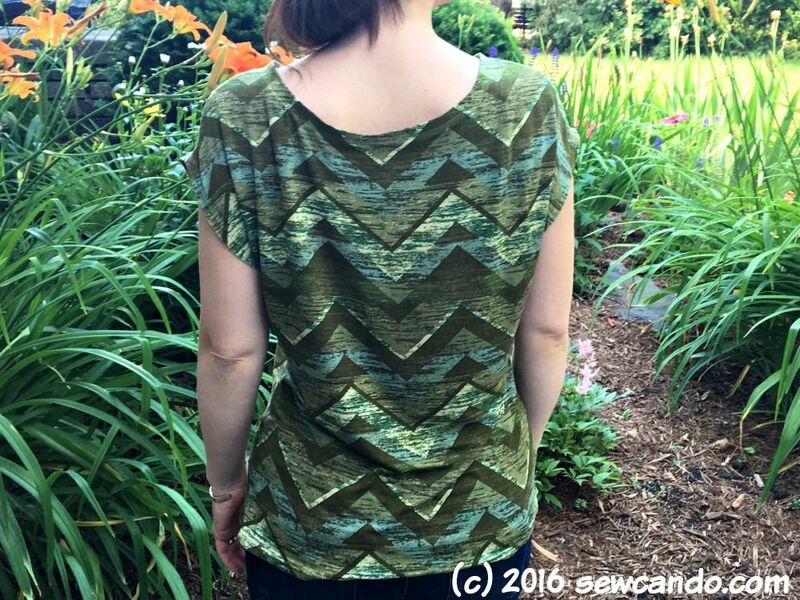 I used this multi-hued Famous Maker Chevron Knit Olive fabric I'd bought at JoAnn Stores last year. It was inexpensive and a fairly lightweight, drape-y jersey. I thought the scale of the print was perfect for a top, but I'd been procrastinating cutting into it. Waiting for the "right" pattern. I think it totally works with the Blank T-Shirt pattern - it's airy, but still has a feminine silhouette. It looks more stylish than a typical t-shirt. Can be casual or dressy depending on the fabric & accessories, which is nice. I hemmed mine with a twin needle, but I like that you could leave the sleeves and hem unfinished if using a knit that doesn't curl much. I also like that the neckline hits at the right spot. So often they're too wide, show bra straps, or gape/look weird. My only issue, if you could even call it an issue, is finishing the neckline. This is always my picky spot of sewing tops for myself - often that's the giveaway that it's homemade because it doesn't lay right. This pattern has two options: the usual fold edge under or using bias tape then folding that under, then stitch down. I used the second method and the firmness of the woven tape made it stick straight up, away from the body. I softened it by pressing it on a tailor's ham to give it more of an inward curve. Hopefully that'll hold after it's washed again or I'll just have to press it that way before wearing. I think next time I'd just fold the edge under and stitch or even consider making some bias tape with knit fabric to use instead. All in all, I think this is a good pattern and love that it sews up quick. Even though I have the skills to sew more intricate stuff, I'm just not into fiddly sewing these days. The Blank T-Shirt pattern definitely gets a thumbs up in my book. 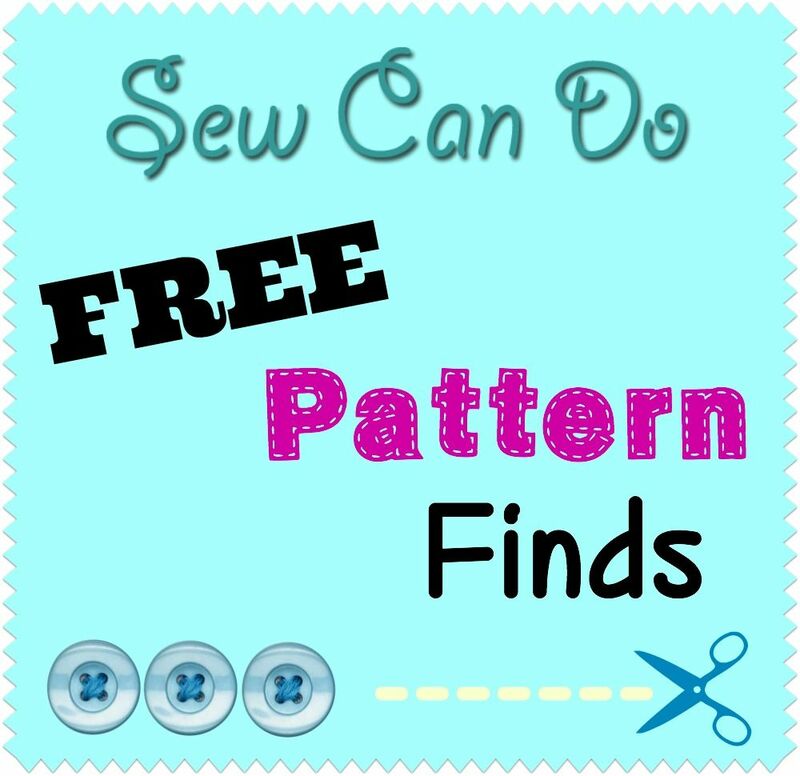 Got a freebie pattern find you love? Share it in the comments so we can all try it out!